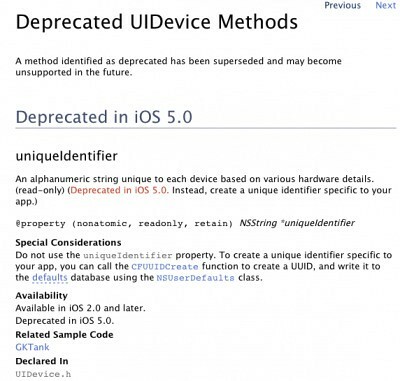 As noted by TechCrunch, Apple has alerted developers in recent documentation that it is in the process of deprecating access to the uniqueidentifier alphanumeric string that is unique to each iOS device. Apple recommends developers create a UDID specific to apps. Obviously, UDIDs were a security threat as marketers and advertisers (and worse) could follow your usage patterns and gather data through different apps.